Connect, control and enjoy Satellite Radio through any SiriusXM-Ready car stereo from the leading aftermarket brands. 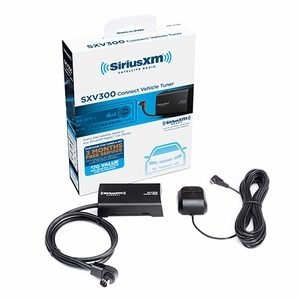 The SXV300 tuner plugs directly into a SiriusXM-Ready car stereo without the need for special adapters or translators. The compact size installs easily and discreetly behind the dash for a fully integrated look. * Some features may not be available on certain car stereo receivers. Consult car stereo receiver manufacture for detailed description of features and operations and capabilities. Click here for a printable compatibility chart.